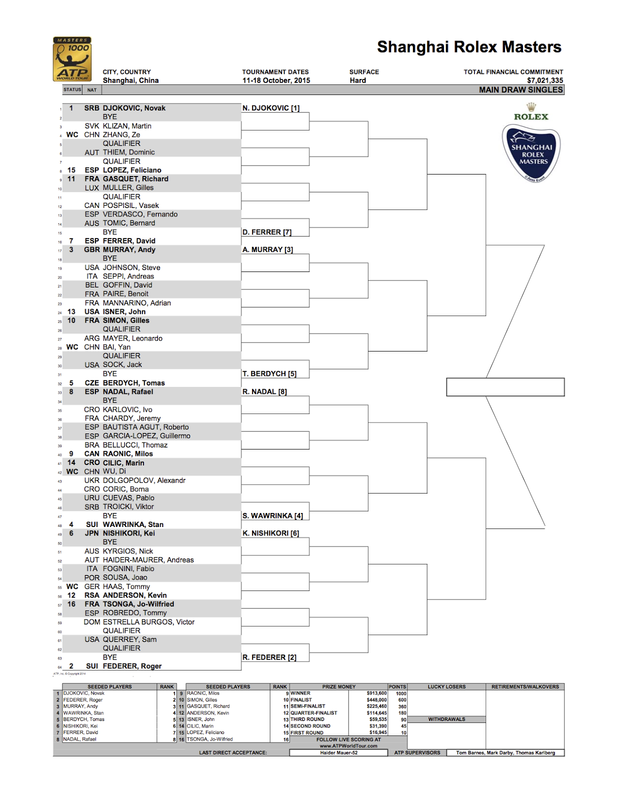 The Shanghai Rolex Masters 1000, singles & doubles draw is out! Rafa will be playing doubles partnering with Fernando Verdasco, their first match will be up against Team Isner/Querrey. 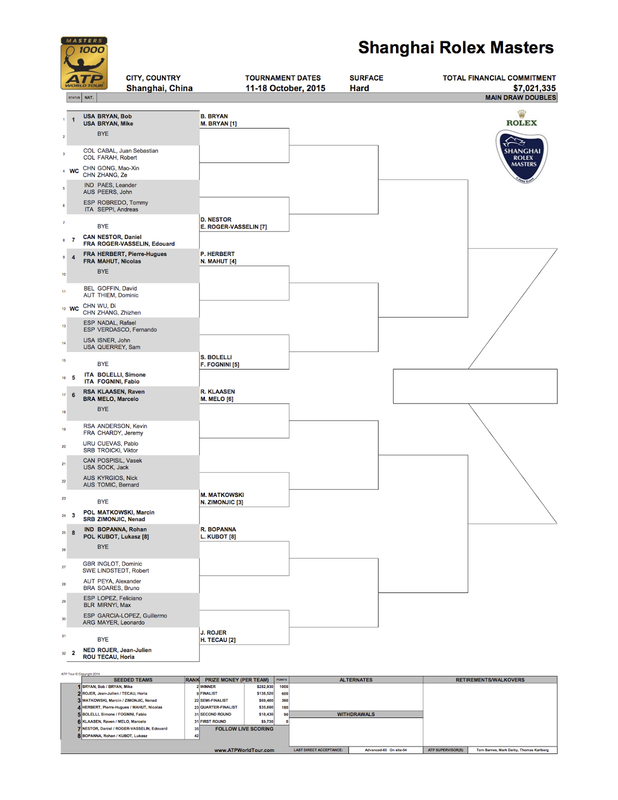 In Rafa's singles he is seeded #8 gets a bye in R1, His first match will be the winner of Karlovic/Chardy.